TOMORROW is World Pizza Day! It’s a whole day dedicated to celebrating what was one of the most unknown, unloved meals in the world. Today, you can find a pizza outlet on nearly every other corner of Mzansi but where did it start? Pizza Day was founded in 10th century Naples, Italy. This is when records first describe pizza. It started as a flatbread spread with sauce and sprinkled with cheese. In 1905, pizza made a splash in New York City, when the first pizzeria, called Lombardi’s, ignited the love of pizza that would spread all over the world. Pizza has grown to such a every day food that there are actually groups of people debating what toppings are best. 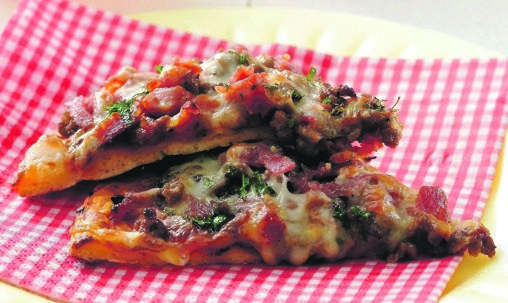 Even Mzansi has its own versions – pizza topped with boerewors or braaied on open flames. There are lots of choices but you can choose your favourite and enjoy.